User testing is a part of any technology project but the Opticsurg MVP user testing session was different for many reasons. 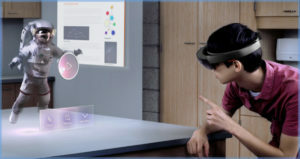 When working on Mixed Reality Applications, all stake holders, creatives and developers have an idea of what SHOULD happen, but the reason its called Mixed Reality is the digital layer of the application needs to interact with the real world. In THIS case the “real world” is the inside of the human body. Above you can see Mass Ideation CEO Miguel Sanchez working a laparoscope on an actual human corpse provided by Fusion Solutions in Hicksville New York.